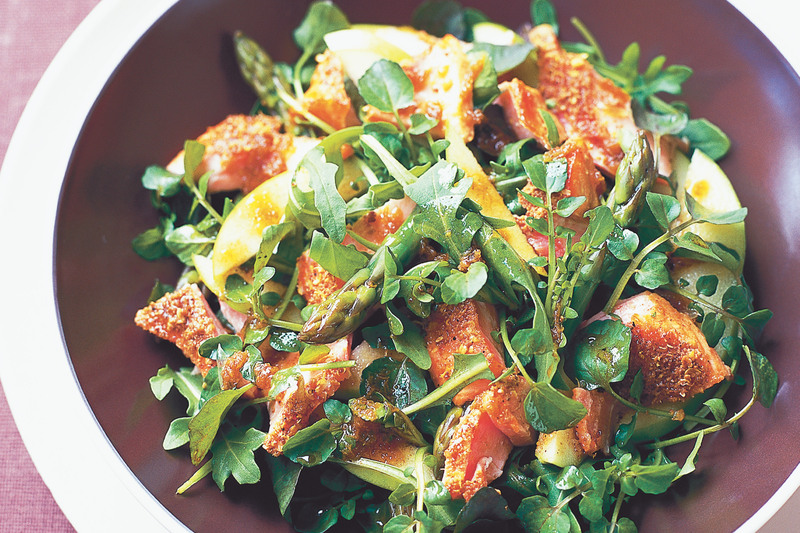 If you like trout and green tea, then you're in luck, because here is a recipe for green tea-smoked trout with spinach salad. Sounds yummy! Here's a variation made with black tea instead of green and with apple salad instead of spinach, but you can simply substitute the 1/2 cup of black tea with the same amount of much-healthier green tea leaves.